First impressions are important and your business card should speak a lot about you and your company. But how many details can you fit in 3.5 x 2 inches? Actually, more than you think. 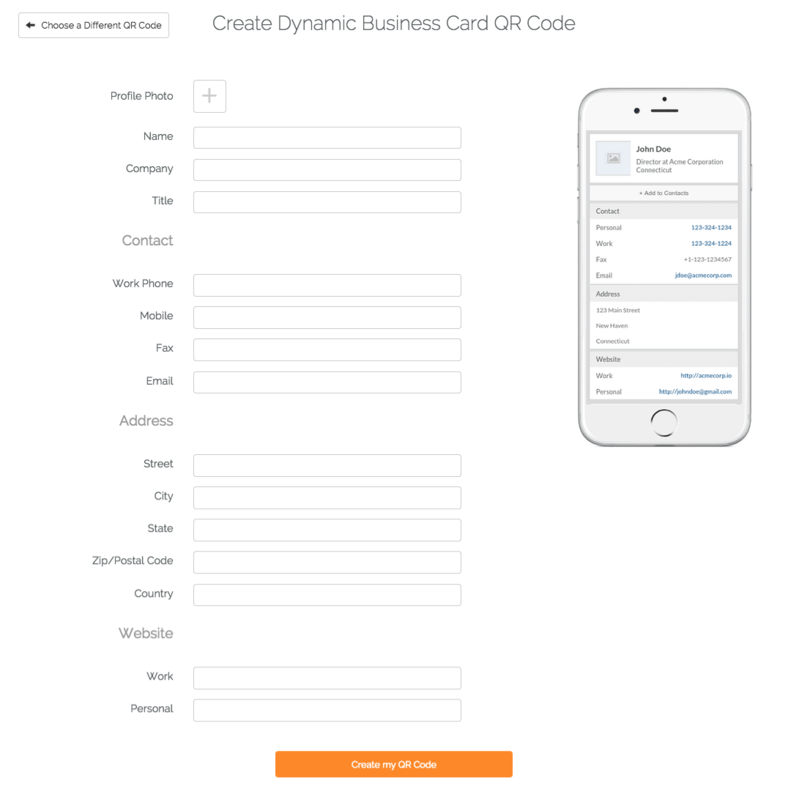 What if you could show the recipients of the card your name, photo, company name, title, work phone, mobile number, fax number, email address, office address, work website, personal website, and links to social media profiles? All this plus a button so that all these details are instantly saved in the recipients’ smartphone. How? Via QR Codes. Today QR Codes are being used for a wide range of use cases. 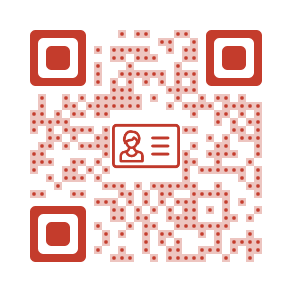 Although QR Codes have been used for this purpose but the static business card QR Code in most cases becomes very large and takes up a lot of space on your card. 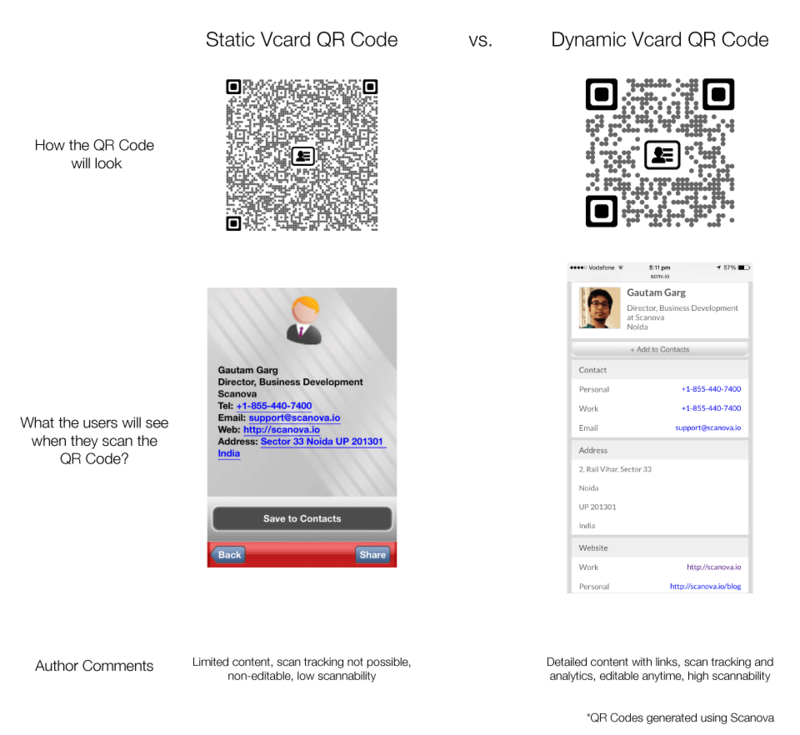 So solve this problem, here is the Dynamic Vcard QR Code. 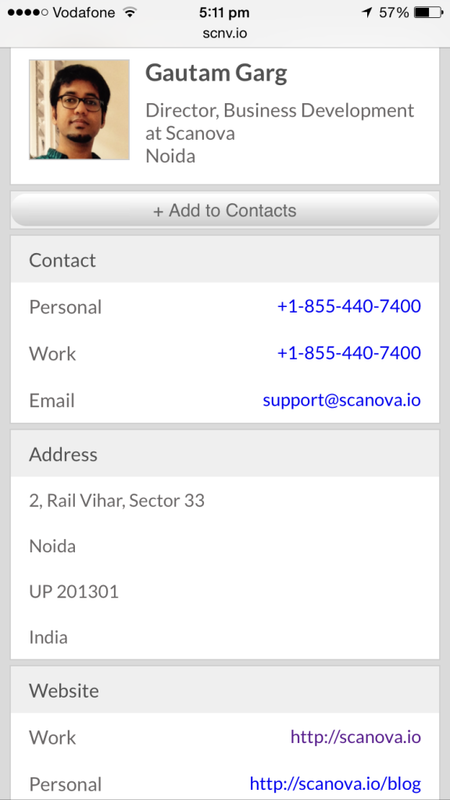 A Dynamic Vcard QR Code links your QR Code to a personal mobile web page that will display all your information and give the users the option of saving you as a contact with all these details.